NinZine 3.0 is syndicating posts from RSS feeds of what I think is good Bujinkan sources and displaying them here in this blog. It works like an electronic magazine (e-zine). Each contributor (blog that we syndicate) have different settings, some prefer to publish the whole post, some only excerpts, some no videos, some no pictures etc. We re-publish what we can from the rss feed. If you click on the articles title you will open the original source. If you prefer to read articles with your own rss reader you can subscribe with this NinZine RSS link. Bujinkan businesses is ok, but no spamming and it should be news worthy and not only for promoting old stuff. Think news worthy. If you don’t have your own blog and want to write, it is really easy to start one at WordPress.com, and completely free. You don’t need long training experience to write interesting stuff. You could write seminar reports for example. This is something I rarely see, if you have been to a seminar why not write a short or longer report from the seminar and include a few pictures. Maybe you’re already doing that, let me know your blog so I can review it. When writing this page I searched the Intertubes for the long lost NinZine files, but I couldn’t find them? But then I came across this F.A.Q. from 1995 when I first started making the original NinZine’s. I hardly remember what I wrote, but I don’t think I changed my attitude that much. Read the FAQ at the bottom of this page, I’m not sure I agree with everything, but I kept it for… historical reasons? BTW If you have the old ZIP files, please send them to me! First I run a FidoNet BBS (1992-1997 I think!) before I the web really started. Then in 1994 (I think!) I got on Compuserve and the year after in 1995 I got the internets. 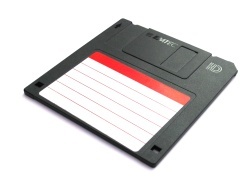 I started working on my web site instead of these multimedia floppy discs. By the way I claim that I have the oldest Bujinkan Web site! (there was another guy apparently training who had a profile page where he said he trained in Bujinkan, he was first to write Bujinkan on a web page but that was all). The oldest page on the Way Back Machine is this one from December 1998. Maybe my web sites was the 2.0? First was the Mats Hjelm’s Bujinkan Web Site. Then in 2000 I got my own domain name and changed the name to kabuto.nu, I later changed it to kesshi.com which is my personal Bujinkan web site still. Or it was in October 2005 when I started the bujinkan.me rss scraper publishing thingy (like this site). Is what you are experiencing with this web site, hit it!. 2. What's the purpose of NinZine? 3. Future goals connected to NinZine. 4. Where can i find the NinZine's? 9. How to contact me. that it will work on all machines. package are compressed with PkZip 2.04g. kept within our own dojo walls. I think we could work together. to all interested, and to spur those who haven't started training yet. information about MAnet get MANETAPP.ZIP from my Homepage or BBS. could organize this in a smart way. the Health & Fitness -> Martial Arts Filecabinett. BBS is open 24h/day all week. connected to the fileecho where NinZine is distributed. Kukishinden Ryu Special & Lots more! Koto Ryu Special & lots more! Shinden Fudo Ryu Special & lots more! of July. I need articles and images (any uudecoded format). about this Ryu, please write something and send it to me! Please act fast since i need it before the end of August. Will probably be released September 1'st, please send anything. a lot more info about KUKISHINDEN RYU from you happy readers. ...news, important or less important. ...seminar dates, with contactperson and dates. NinZine for others to answer. ...send in answers or your opinion on something you read. the BBS or send them uuencoded in a email. bee too big. I'd like to have NinZine under 1Mb. please don't change anything without permission. instead, I normally logg on to CIS 2-3 times a month). Phone +46-8-985948. The BBS is open 24h/day 7days/Week. Great idea for sharing information Mats.There are many BJK members who have a load of information that they have gathered over the years.It would be terrific if they would share their knowledge with others.